I just wanted to take a minute to let you know what an amazing experience we have had a Big Star. Our son Zach has absolutely blossomed being a part of your Musical Theater Class. Before taking classes at Big Star, Zach was very shy and lacked self confidence. We find it absolutely amazing what Kathy has been able to get Zach to do on stage. Sing, dance and monologues, he is in his element on stage. Sports were never Zach's 'thing', but with Big Star, he finally feels like he is a part of something special. He would be there every day if he could! Thursday afternoons are the highlight of our week, every week. That's because Ryan, 12, and Ethan, 9, get to go to Rock Band rehearsal at Big Star Studios. They both play guitar and Ethan was recruited as the bass player recently. Of course they're learning music, but it has been much more than that. Ryan likes the group dynamic and has learned first hand what it means to be a part of a real band: leading, following, paying attention, compromising and depending on each other to practice and get the work done so that when it all comes together, it sounds great. Ethan has found great role models in the older kids and it has really helped his confidence to perform in front of an audience. We notice that confidence translating into eagerness in school and sports, too. Big Star instructors really care about the kids having a positive experience and for our boys, we hope that translates into a lifelong love of music. Big Star, Bright Futures. My son has Asperger’s, which means despite the amazing things he can do, relating to other kids his age in social situations can be awkward for him as can trying to find a way to express himself creatively…except for this little game he played on Expert since he was 2 called Rock Band. If you have ever played an instrument, you understand that giving the gift of music to your children means so much more than a catchy cliché. Music is a language of its own that allows you to communicate in ways that words cannot. The money that we would otherwise be spending on action figures and weekend camps is being put towards teaching him this language and giving him a gift that he can pass on to others and his children. Yes, I also want him to become a rock star. Big Star Studios, with its cool environment, warm atmosphere, and expert instructors, has given him confidence in his abilities, and inspired him to talk with others about his passions (not to mention convince mom and dad to equip his room with a 5-piece acoustic drum set). Thanks to music, my son is now on a path that is as amazing to behold as it was hard to imagine he’d ever take. Give your kid their recommended daily dose of creativity. Give them the gift of Big Star. ©2018 Big Star Studios. All rights reserved. Most Memorable Gig: It’s been an amazing journey – from doing summer stock on Cape Cod (7 full shows in 9 weeks) to the very first show in the Francis J. Gaudette Theater at Village Theatre in Issaquah (Contrary Mary in “Babes in Toyland”) to incredible dream roles like Little Red in “Into the Woods”, Petra in “A Little Night Music” and Rizzo in “Grease” to recording a full length CD with my first band “Fall City” to playing gigs with my current band “Tequila Mockingbird” to being the voice of the Wandering Witch in “Left 4 Dead 2” to launching Amazon Game Studios and this fantastic business with Corey Schwarz, I’ve been incredibly fortunate. But my Most Memorable Gig to date is, without question, being Mom to my two greatest achievements, my daughters, Marcella and Erin. Career Highlights: I think you heard enough of that above. My Journey to Teaching: I left my job with Valve Software to take a break and play Georgie in “The Full Monty” at Village Theatre. At the same time, my daughters’ dance studio was closing down. Corey and I realized this left a huge hole for arts in the Valley. So, we jumped off a cliff. I accepted a job making Halo 4 for with 343 Industries at the same time Corey and I signed the lease on our first space. Teaching became my escape from technology and my outlet to realize I had the opportunity to actually change the way kids in particular moved through their daily lives. It’s addicting. My Mission: My passion for Big Star lies in my passion for PERFORMANCE. It is a skill that translates way outside the arts. It belongs in the workplace, in school, in any athletic endeavor, in social situations and even at home (sometimes much to the chagrin of all family members. . . . ). Being able to “put on a show”, empowers performers to step outside the boundaries of themselves and bring their audience along for the ride. Whether that means literally being on stage, in class, on the soccer field, at a party or negotiating dinner time, it’s all about PERFORMANCE. Most Memorable Gig: I was a student at the School of American Ballet in New York City where I performed in the New York City Ballet’s Nutcracker Suite with Peter Boal (current Artistic Director for PNB) and Mikhail Baryshnikov. Peter was the child Prince, I was a soldier and Baryshnikov was the Cavalier – the star of the show. I bumped into Baryshnikov in the elevator and promptly realized I was taller than he was! I was 10 years old. Career Highlights: My career as a professional dancer never hit the pavement; instead I graduated from Kenyon College where I met my husband Hugh. We moved to the Seattle area in 1992 and settled in Snoqualmie Valley in 1995 where we enjoy living close to the mountains. It was always a goal to live where there are more trees than people. My passion for ballet and musical theater has lead me to fundraising and becoming a member of the Board of Directors for Pacific Northwest Ballet. I am proud to have raised over $200,000 for scholarship students during the 8 years that I have been involved with PNB STARS. I have also loved being a coach for the Mount Si Lacrosse Club Youth Boys teams from 2011-2018. My Journey to Big Star: After 10 years in the video production and software manufacturing industry, I became a stay-at-home mom when our boys were very little. Corey & Kathy asked me to join the team at REACH Eastside Performing Arts as the office manager.  When REACH closed their doors, there were 25 kids in the musical theater program that REALLY wanted to continue taking classes, and Big Star Studios was born! I am proud to have helped the company as a start-up in 2011. My Mission: It is my goal to provide a nurturing environment for teachers and students. I love seeing the kids in Snoqualmie Valley and beyond performing, gaining confidence, and learning so much about themselves through our fantastic programming. Most Memorable Gig: I played in a symphony that debuted a Rachmaninoff composition that had never been performed before at Kirkland Performing Arts Center. The composer’s grandchildren were in attendance. Just before the show started, one of the stage lights ignited in flames and caught the stage curtains on fire. The entire orchestra and audience had to evacuate while the fire department put out the fire! When it was out, we all went back in and carried on the show. We all joked that it was Rachmaninoff’s ghost making his presence known so we wouldn’t mess up the world premier of his piece! Career Highlights: World premier performance of Cosmozoa, a compilation of songs by local composer Michael Hamm, Kirkland Symphony Orchestra annual Benaroya Christmas concert 2017, studio orchestra for Breath of Aire at Bear Creek, Seattle Rock Orchestra Social Club, Puget Sound Symphony, Sammamish Symphony, Eastside Symphony, St. Mark’s Cathedral Choir & Music Dept, Northwest Girlchoir, Seattle Youth Symphony, Bellevue Youth Symphony, Chamber music training under Karen Iglitzin, founder of Chamber Music Madness, private instruction under Seattle Symphony Principal Viola Emeritus, Richard Skerlong. In addition to teaching at Big Star, I am a Special Education Paraeducator for the Snoqualmie Valley School District and I am currently attending Western Governors University to obtain my BA in Elementary Education. My Journey to Teaching: I came to teach by chance. But when it fell into my lap, it was for a reason. I quickly discovered that it is my calling! After a 10-year career as a professional photographer and a tiny performance for my daughter’s preschool class that led me to meet Sheila Bateman (director of Snoqualmie Strings Youth Orchestra), Sheila ultimately offered me a Chamber music coaching position. I fell in love with it! After YEARS of being asked to teach private string lessons by countless people, I finally took the plunge when I was hired by Big Star. Through my other career, I coached many new photographers and felt a huge sense of pride in passing on my knowledge, so no matter what I happen to be teaching, I am extremely passionate and committed to creating an educational, fun experience for all of my students. The quick growth of Acappella program here at Big Star has allowed me to expand my teaching into the choral realm, which I have been involved with from a very young age. The opportunities I have been given here at Big Star to utilize what comes most naturally to me has been humbling! I have a particular interest in the developmental impact of music and the arts on kids with special needs. My Mission: It is my goal to educate young musicians on everything from theory to technique to sharing my absolute love for performance and showing them they can have a blast working hard at it.. Music is deeply rooted in every human and it is my goal to tap into that with my students, no matter how old or at what level they are playing. Most Memorable Gig: I’ve had so many amazing memories, but having to learn a full show in a week and a half through a script, a video, and music tracks before flying out for a filler tour contract really pushed me as a performer. Once I landed, I went straight to the theater to get blocked on stage and then performed the very next day. Total whirlwind, but a lot of fun especially pushing me to learn an entire show while creating character relationships before even meeting the rest of the cast. Career Highlights: Through Disney I was able to be a part of an amazing legacy. From performing with guest celebrities to performing for some amazing crowds. Being a part of the Disney Company for a little under 10 years (both coasts and on tour) allowed me to learn from some of the most creative choreographers and directors while performing amongst some of the most talented performers. So many great memories and lifelong relationships formed during my time with the mouse. My Journey to Teaching: I have been working with youth since I was a teenager. I started mentoring when I was about 14. Then randomly got into creating, teaching and performing choreography for different school events which later lead me to becoming a Cheerleader at WSU (GO COUGS!!!) and then eventually performing at the Disney Company. All the while I was always involved with working and teaching kids on the side until I realized teaching is where I belong. It’s been great witnessing past and present students accomplish so much and make a career out of their passion for the arts. My Mission: It has always been my mission to create a positive atmosphere where anyone and everyone can express themselves with absolutely no judgement. I created something to really push my vision when living in California, the I.M.P. Project which stands for “INSPIRE and MOTIVATE others through your PASSION”! I hope to continue to inspire all those around me to live their truths while harnessing their craft, growing as a performer, and most importantly being a kind human being. And what better to do that than here at Big Star Performing Arts Studio. Industry Experience: The New Orleans Jazz Festival, singing backups for Howard Hewitt, Laura Bell Bundy, Shirley Jones, and more. Journey to Teaching: Elora discovered her passion for teaching through the College of the Young a Americans, a musical theater touring outreach program where she was lucky enough to perform and teach at the same time! After a long career in the industry and a strong desire to return to teaching led her to turn down a full music contract, pack up her life and move to Washington. Her Mission: Whether she is on stage in front of thousands of people or singing to herself, Elora finds joy and contentment in music. Her mission is to pass on that joy! EXPERT IN: ELECTRIC BASS (4- and 5-string), JAZZ THEORY, BAND COACHING, TEACHING MUSIC IN ENGLISH AND RUSSIAN LANGUAGES. Most Memorable Gig: I have been very fortunate to perform with many great musicians/artists, so it is not easy to choose the most memorable gig. The one that comes to my mind is playing for many years with the great drummer from Santana’s band – Michael Shrieve. And, one day I was asked by Michael to play with Carlos Santana, Johny Lang, Cindy Blackman(Lenny Kravitz), Orianthi(Michael Jackson) and Paul Allen all in the same day. Wow, that was an amazing experience. Career Highlights: Studied at Cornish College of the Arts, toured and recorded with Danny Godinez Band, Jazzukha, Flowmotion, Michael Shrieve’s Spellbinder, Pura Fe, Randy Oxford Band, Duende Libre, Joe Slick Band and many more artists around the NW and the world. My Journey to Teaching: I was first invited to teach by Jay Roberts at the Roberts Music Insitute in Bellevue around 2016. It felt natural and fun. Because it has been such a great experience sharing my knowledge of bass performance and recording I joined Big Star in the fall of 2017. I’m really thankful to Big Star for the opportunity to work with students of all ages, it’s been a blast! My Mission: To give students enough foundation of music theory, technique, and over all musicianship to discover their own music voice and originality. Most Memorable Gig: My life with music began about the age of 7. Singing in the elementary chorus, singing in the church choir and taking piano lessons. I was fortunate to have awesome music teachers all the way through my high school years, including band , chorus and accompanying the younger groups on piano. Every year was filled with competitions. All state, All county and northeast conferences. My education culminated in my graduation with honors from SUNY Fredonia. I had a major in voice and minor in piano. My Journey to Teaching: After graduation, I taught middle school music in the state of NY. When I moved to the state of Washington, my music became part time. I gave piano lessons in my home and played on the weekend for the church in Snoqualmie. After my sons were grown and gone, I decided to try and do music full time again. I was walking along Center Blvd on the Ridge when I noticed Big Star studios. I went in to inquire about the program and they told me they were accepting new teachers! 31/2 years later, my afternoons are full with young piano students. My Mission: I love to work with children, whether it be singing or playing piano. If they can grow up loving music as I do, my mission is accomplished. Most Memorable Gig: I once was competing in a Cabaret Showcase in NYC. The morning of the gig, I started passing a kidney stone, so a few hours prior to the competition I found myself in the ER with a morphine drip. But the show must go on! So, I zipped myself into my cabaret dress, grabbed a taxi across town while still ill (think very bad nausea!). Got to the venue with no warmup and no hair and makeup. My girlfriends fluffed my hair and whilst still VERY NAUSEOUS I stumbled onstage and sang my piece. Just for fun, there is actually video evidence of this drug-addled performance on youtube… I still won the competition! Career Highlights: I was a performer on the North American Tour of “Evita” by Andrew Lloyd Weber. Our director was the original Broadway choreographer, Larry Fuller. Hal Prince, who was the original director of that show, sent us a memo for opening night, which I currently have hanging on my wall. The show, the cast, working with Larry and being a part of the legacy of that show, were all amazing!! I also did a NYC reading of a new play with Brian Dennehy and Kyra Sedwick. It was a fabulous experience and even though Brian Dennehy generally plays bad guys, he’s really one of the funniest people I’ve ever met. Although it was the start of my journey, I am very proud to have graduated from college with a Bachelor of Music in Voice Performance. The degree was hard-fought, but I loved studying music and I’ve never regretted that choice. I actually had to do two full recitals of classical repertoire! My Journey to Teaching: I started teaching during my undergrad years and fell quickly into mostly vocal coaching during and after college (I was really good at helping actors appear as if they could sing!) After moving to NYC I had a couple gigs musical directing children’s productions in the mid-90s. After a significant hiatus due mostly to a segue into Corporate America and the fact that I mostly just wanted to talk to people while teaching, I started teaching again in 2006. I started teaching vocal programs to at-risk kids in Manhattan and Jersey City, NJ, and really felt that was my calling. I loved it! While I originally did it to have a paying “gig” I found it to be a calling more than a gig. I also discovered that my ideal age group was middle school to teens. One of my former bosses told me this is because I’m too much like them, hahaha! I love teaching and coaching and have not stopped doing it since starting up again in 2006. In 2011 I relocated back to Seattle to be closer to family and joined Big Star shortly after they opened. I now commute from West Seattle because I a) love Big Star Studios! b) love my students! and c) love you, their parents and families. I find I learn just as much, if not more, from the kids and their families that I am imparting to them. Helping kids succeed and gain confidence is THE best career highlight! Most Memorable Gig: In 2018 I was very fortunate to perform at the Tanzcafe Arlberg Music Festival in Lech Zürs, Austria. What I didn’t know, was that I was going to be performing on the roof of a ski lodge, located at the top of one of the Austrian Alps. It was a very surreal and beautiful experience, and I sincerely hope that I never have to ride a ski lift to a gig ever again. Career Highlights: Bachelor of Music Degree in Performance from Cornish College of the Arts, Frequent touring and recording around the United States and Europe. My Journey to Teaching: I started teaching very shorty after I started playing drums. It started as kids at school asking for advice, and then quickly turned into parents contacting me to do proper lessons. Performing and teaching drums have been a huge part of my life for many years. My Mission:To give students a strong foundation and understanding of the drumset, rhythm, and to gain self confidence through learning music. Career Highlights: Gavin studied guitar with Davey French for 6+ plus years. At the age of 16, he started to play guitar in multiple cover bands while also participating in the Mount Si Band program. After graduating in 2014, he studied guitar performance at McNally Smith College of Music in MN before studying upright bass at Central Washington University. At Central, Gavin has played guitar for select groups such as the CWU Jazz Band I, and was a part of the CWU Marching Band Leadership Team for two years. My Journey to Teaching: In 2012, during his Junior year at Mount Si High School, Gavin began teaching private and group guitar classes at Big Star Studios before leaving to attend college in 2014. It was during this time that he discovered his passion for teaching. My Mission:To promote creativity and provide students with the skills to become the best musician they can be! Jacob Bernado is a recent graduate of Western Washington University, where he earned a Bachelors of Music in Vocal Performance in June 2018. As a student at WWU, he appeared in several opera studio and theatre productions, including Mozart's Così fan Tutte, William Bolcom’s Lucrezia, and the musical The Secret Garden. In 2018, he was one of the winners of the WWU Concerto Competition and earned the opportunity to perform with the Western Symphony Orchestra as a featured soloist. In addition to his work as a performer, Jacob has directed fundraiser performances to support nonprofit organizations. He is an active music teacher, offering piano lessons, voice lessons, and audition coaching.